This Mickey and Minnie Mouse “Happy Birthday” banner is a great addition to any Disney themed birthday celebration! Each banner comes with a Mickey and Minnie silhouette that can be personalized and used on each end of the banner. 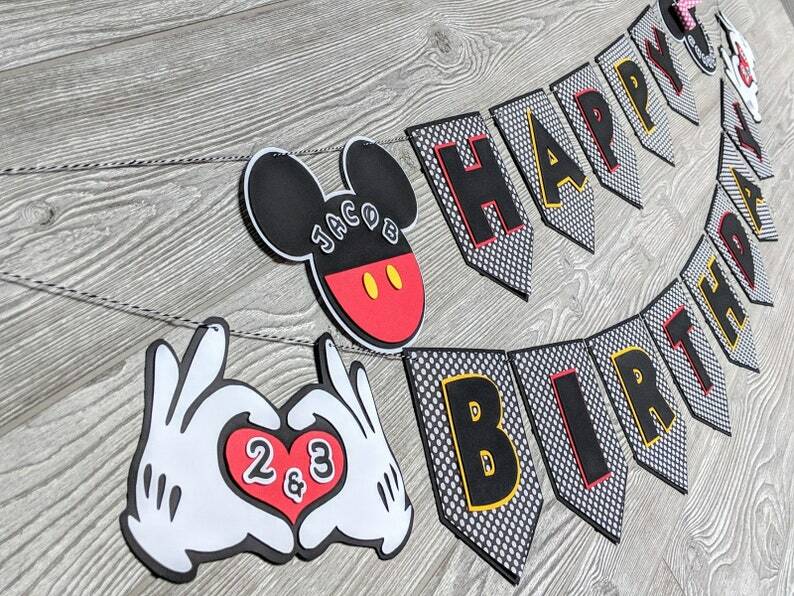 Each banner also comes with Mickey hands making a love symbol that can be personalized with the appropriate age. The colors of the pictured banner are: black, white, red, yellow and a little pink for the Minnie Mouse bow. The patterned paper is black with white polka dots. .
Each pennant measures approximately 7 in x 5.25 in. The complete "Happy Birthday" image shown in two lines is strung between two hooks spaced approximately 6 feet apart. 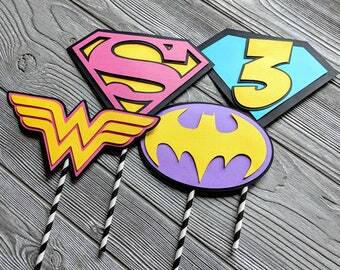 If you would like to add matching centerpieces, cupcake toppers or a cake topper, please let me know.